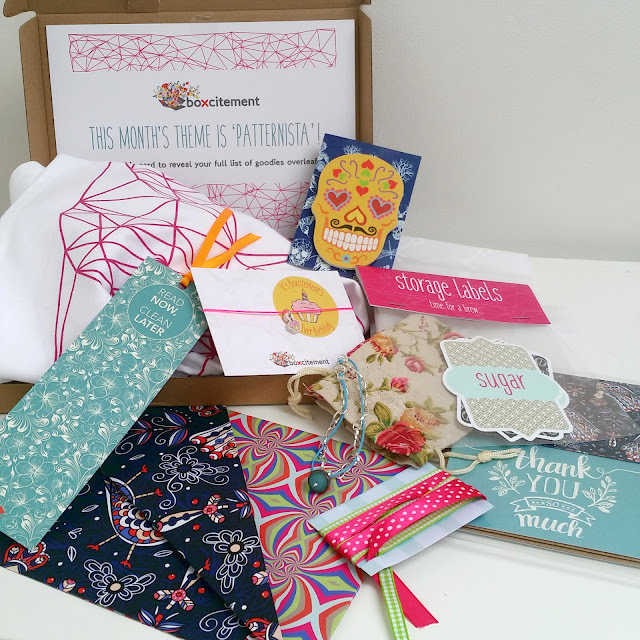 Boxcitement is a monthly subscription box for stationery, crafts, jewellery and gift lovers. 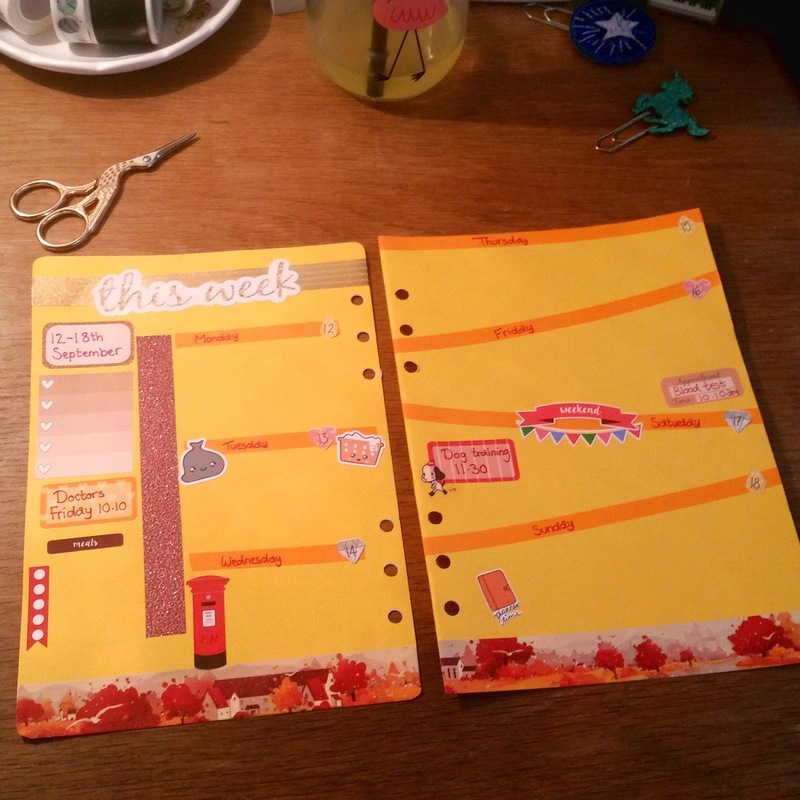 Each month the Boxcitement team choose a theme and craft the boxes around that idea. 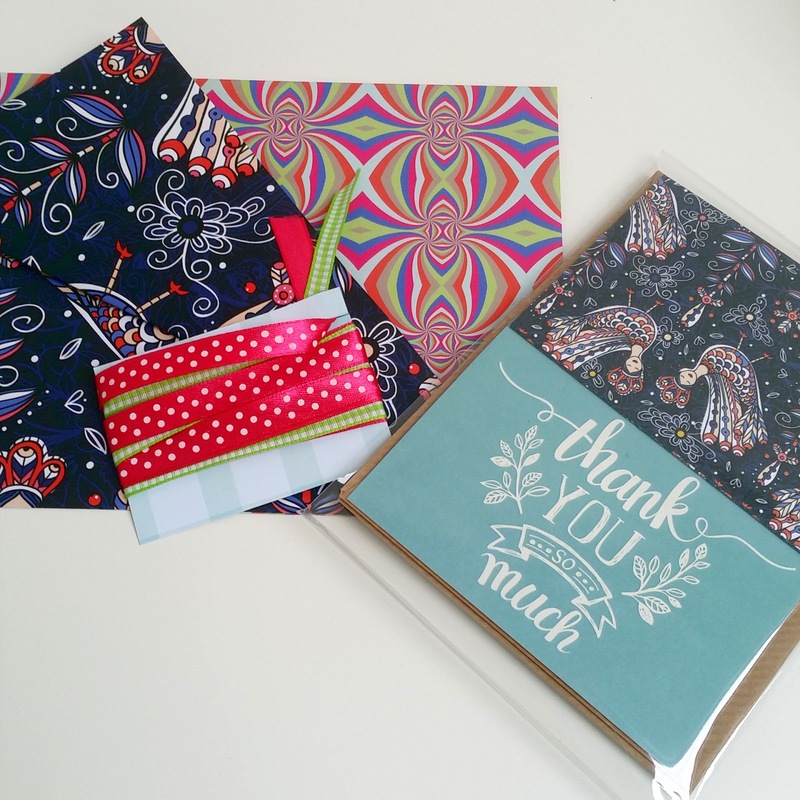 This month's theme was Patternista and celebrates pattern. It also happens to be Boxcitement's first birthday so there's a slight birthday vibe going on too. So, what's in the box?...Well, the short answer is, lots! I was amazed when I opened the little letterbox friendly box at just how much had been neatly tucked inside. It was like an explosion of colour and exciting goodies! First up is a selection of crafty bits. There is a pack of four mini greetings cards that have been made using the exclusive Patternista designs. My favourite is the light blue thank you card, it's incredibly cute. There was a large sheet of patterned decoupage paper which has a different pattern on either side. I think I will be more likely to use this as wrapping paper because it's a really useful size. There is also a couple of pretty ribbons to use when decorating gifts or creating something crafty. Next up were a couple of cute pieces of jewellery. 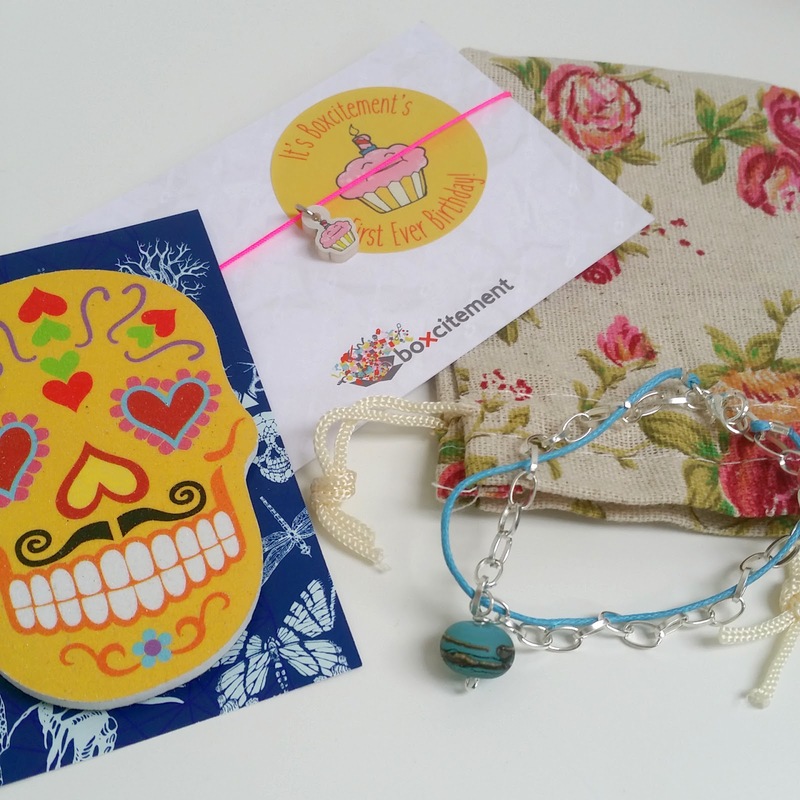 One is to celebrate the first birthday of Boxcitement and is a dinky string bracelet with a mini cupcake bead. I've actually used this as a charm for my planner by shortening the string slightly and hooking it over the rings of my Filofax. The other bracelet is made using a handmade, etched glass bead. Unfortunately, as beautiful as the bead is, the bracelet itself is made using very cheap chain so isn't something that I would wear. Because of this, I rescued the bead and turned that into another planner charm :) The final accessory is a sugar skull shaped emery board in a fab shade of bright yellow. I love this! It's sat on my desk full time now. Lastly, the box also included a few lifestyle bits. My favourite item in the box is a bright pink and white geometric patterned tea towel. Pretty and practical! I haven't had enough pink in my life since moving in with Tom! 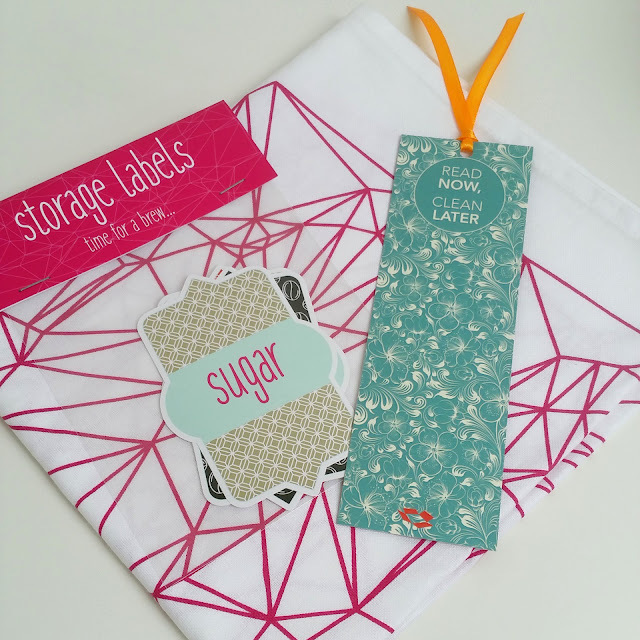 Also adding some pretty to the kitchen, is a set of colourful storage labels for our tea, coffee and sugar pots. Finally, last but not least, is a pretty bookmark decorated with the Patternista prints. I'm a big reader so this will definitely get plenty of use. Over all, I'm pretty happy with this box. I love the variety and as I mentioned at the start of the post, I was amazed by how much you receive, however, there were a few items in the box that I could perhaps do without such as the ribbons and the glass bead bracelet. This is because I don't think they really added anything to the box that wasn't already there so for me they were slight overkill. But, other than this, I think this box was a really strong offering and I'm looking forward to seeing what next month brings! You can find out all about Boxcitement, see contents from past boxes and subscribe from £15 per month *here*. Pens seem to be the flavour of the week here at Three Little Búhos Stationery, and we certainly have lots of them in stock at the moment (yay!). 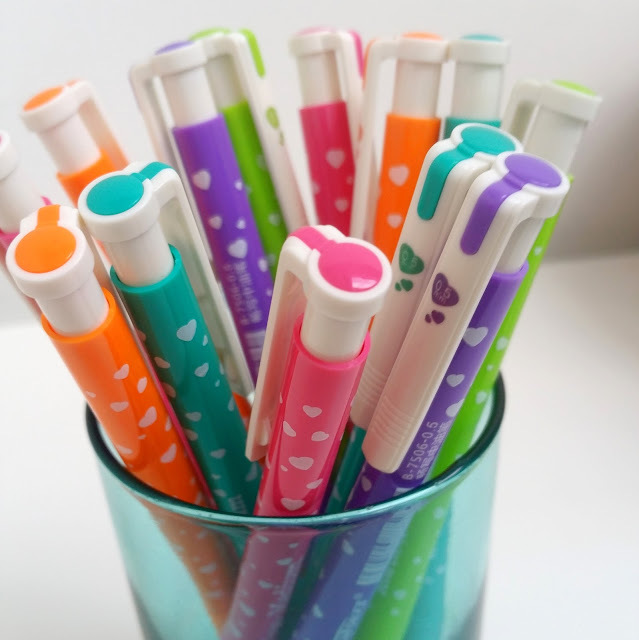 Pens have always been one of my favourite stationery items so it's fab to see that you all love to buy them too. Over the last couple of weeks I have widened the range of pens that we have in stock, and there are still more to come! 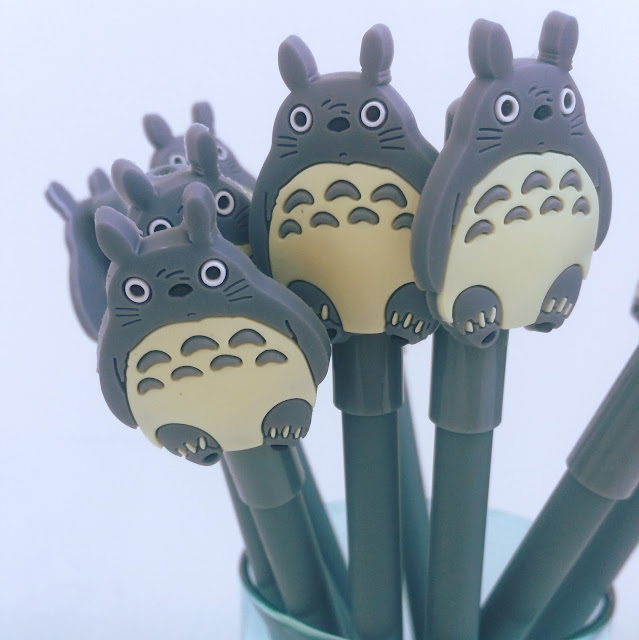 Totoro pens went live last week. I couldn't resist the little faces on these pens and knew I needed to stock them. These write in black gel pen ink and have been cleverly designed with Totoro sitting on the lid so that when you remove the lid, his weight doesn't make it hard to write. 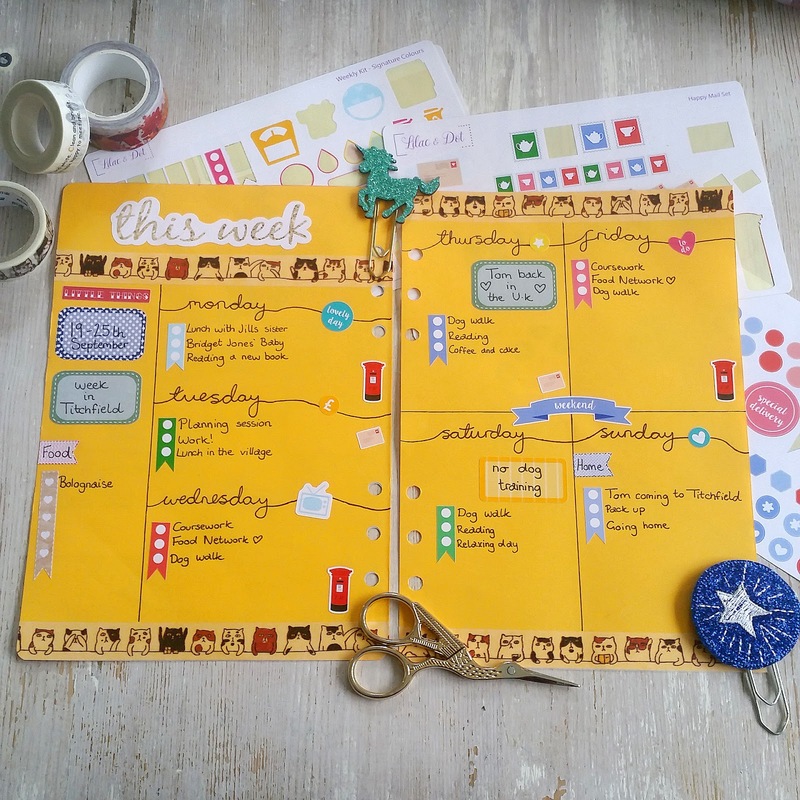 The ultimate accessory for planner royalty! 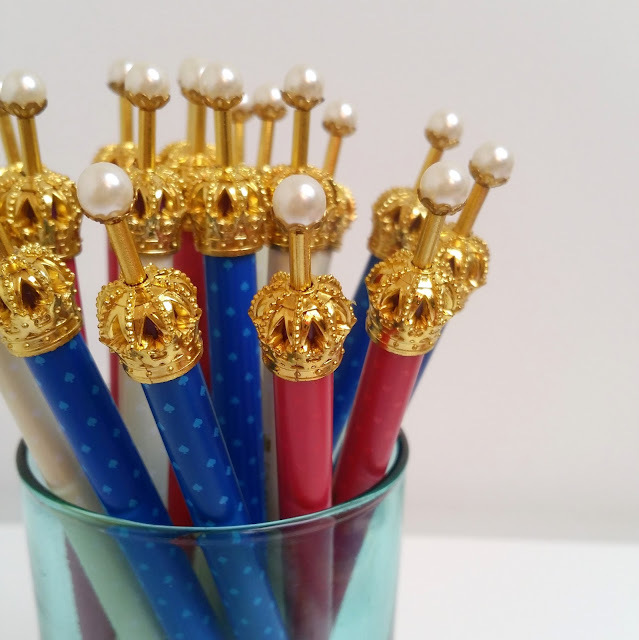 I adore these golden crown pens that went live on Saturday. They come in cream, pink and blue and I definitely wish I could keep one of each. They write in blue biro ink and are the perfect size to carry on the go, or stash in your planner for easy access. These little cuties were added to the site this afternoon and I can't stop staring at all of the sweetie shop colours. They have 0.5mm nibs that are perfect for people like me who naturally have smaller writing that gets smooshed by a larger nib. One thing that all of these pens have in common is that they are perfect for brightening up even the dullest of desks, so if you're looking for a touch of colour, know someone else who is, or if you've begun your Christmas shopping, then these make lovely little stocking fillers. You can find them all on Three Little Búhos Stationery *here*. I always find that subscription box deliveries make the months fly by even faster. It seems like so recently that I was writing last months box review that I couldn't quite believe it when this one arrived. This month is full of colour and variety. I love a touch of originality and Ohh Deer products certainly have that. There seems to be less of a theme this month than you would find in usual boxes (animals, maybe?) but I like that because it means that there is likely to be a bit of something for everyone. First up is a sheet of Zoological gift wrap designed by Jessica Willan (RRP £1.75). Hands up, I love this. All of the animals are wearing party hats! When unfolded you find all sorts of unexpected animals on there including a skunk, ram, goldfish, guinea pig and a poodle! So beautifully random. 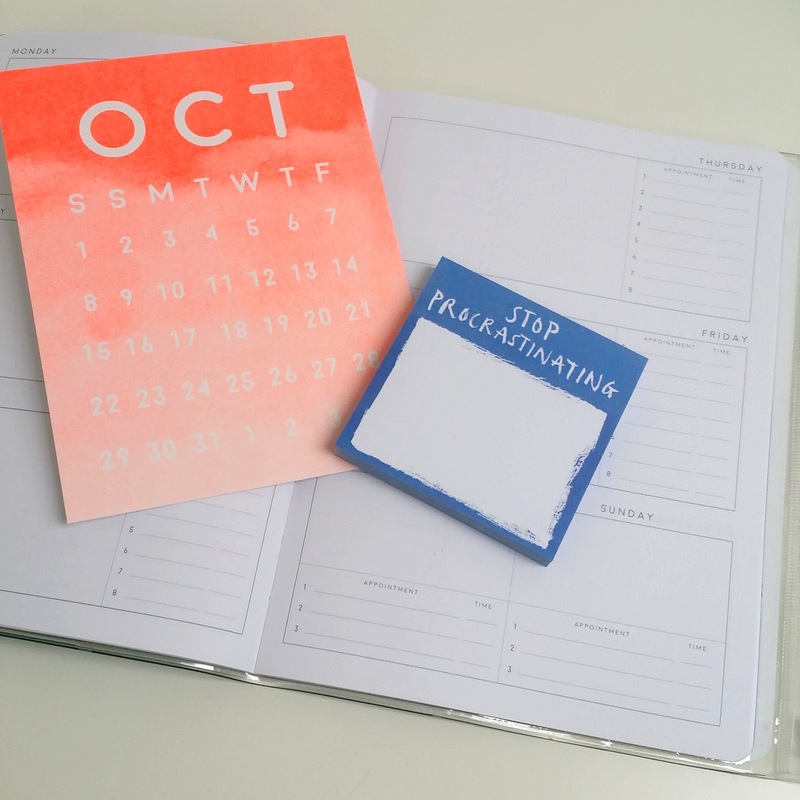 I'm a self confessed planner addict so I was thrilled to find the My Week Turquoise Ombre Planner designed by Jamie Mitchell (RRP £9.95) in this months box. I love the watercolour shades of the cover and the zip lock pouch on the back which make it easy to carry pens and bits of paper etc around with you. The pages are also well designed. 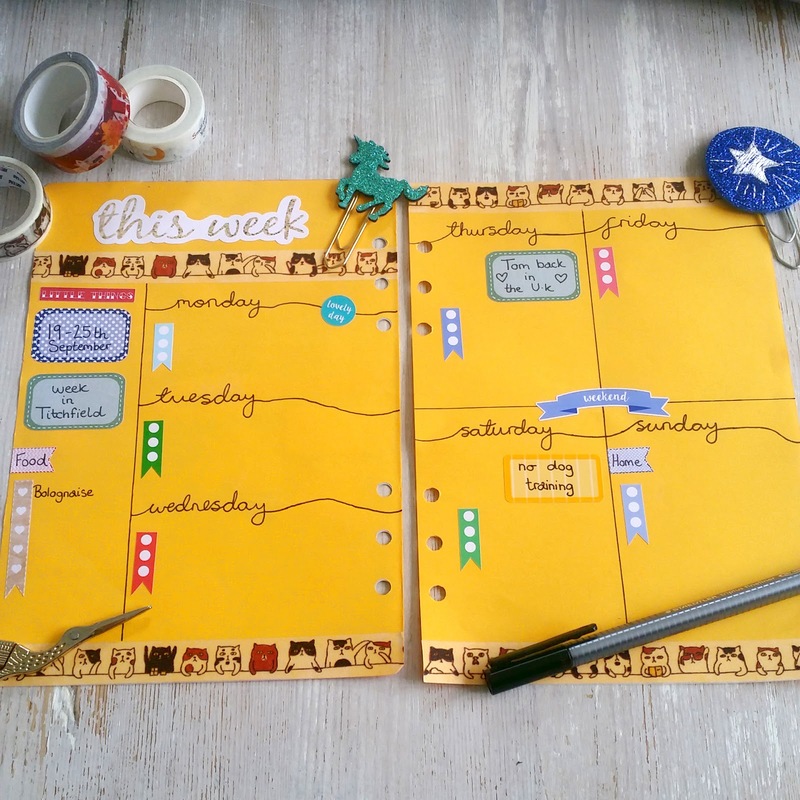 They are undated meaning that you can pick the planner up any week of the year you choose and start from there. There is a blank section for each day as well as a section for appointments and times. Great for busy work schedules! Finally is this months Riso Printed Calendar page, which I have noticed doesn't have a price listed with it this month, so maybe Ohh Deer have realised that it makes little sense to advertise them as a single month. Who knows. But I do really like the apricot pink neon shade that was used. Over all, this box is a lot more in line with previous months than box 6 was, and to me, it seems a good, rounded representation of the things that Ohh Deer sell so I'm more than happy with it. I'm hoping for something a little festive from the next box but maybe that's me being a little premature! 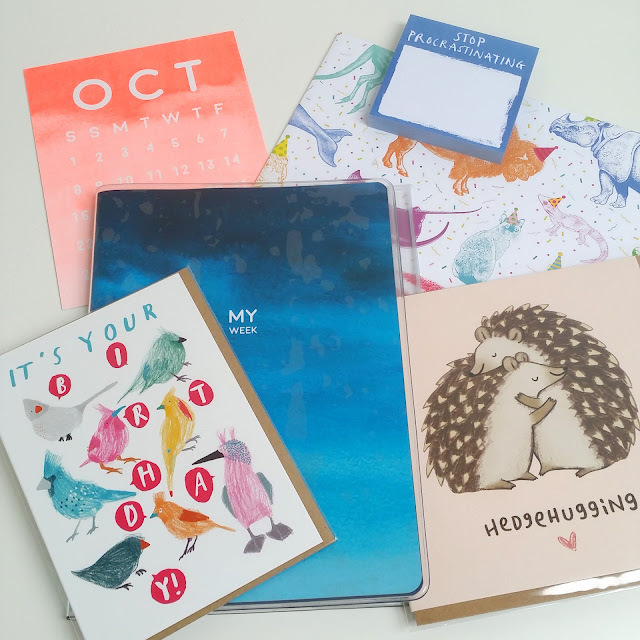 Nearly one month in, things are going really well for Three Little Búhos Stationery. So much so that I have widened the range. I have lots more stock on the way to tempt you, and the first few new items are starting to go live. In the last few days I have added three new products. So what do we have? 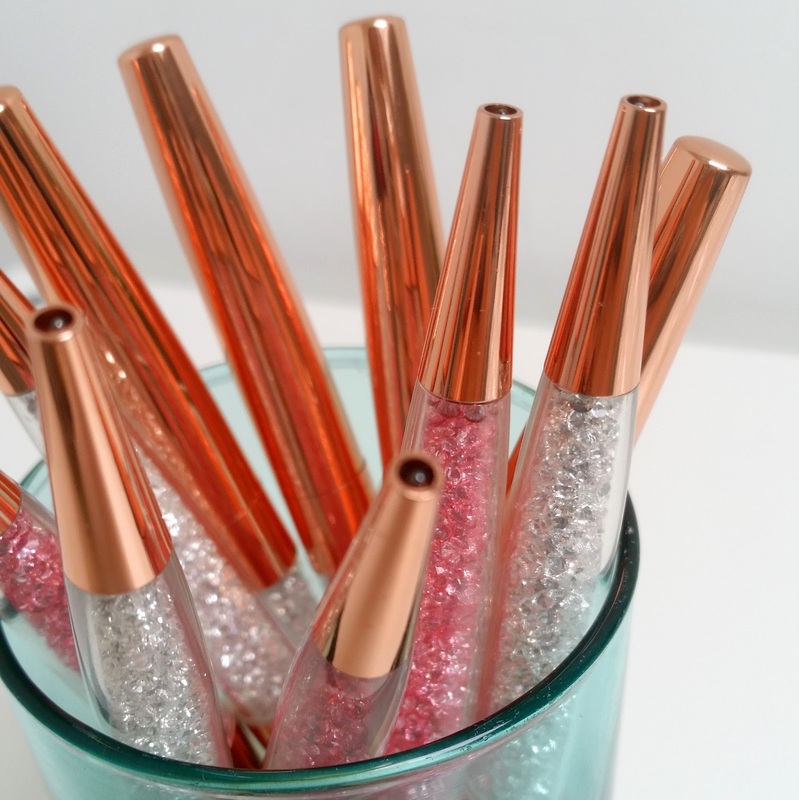 First up are these beautiful rose gold metal pens. I am totally in love with these. There are two options in stock; pink crystals or clear crystals, and I can't decide which I prefer. These are great to write with and rather than clicking up, you just twist the pen which keeps things a lot sleeker I think. 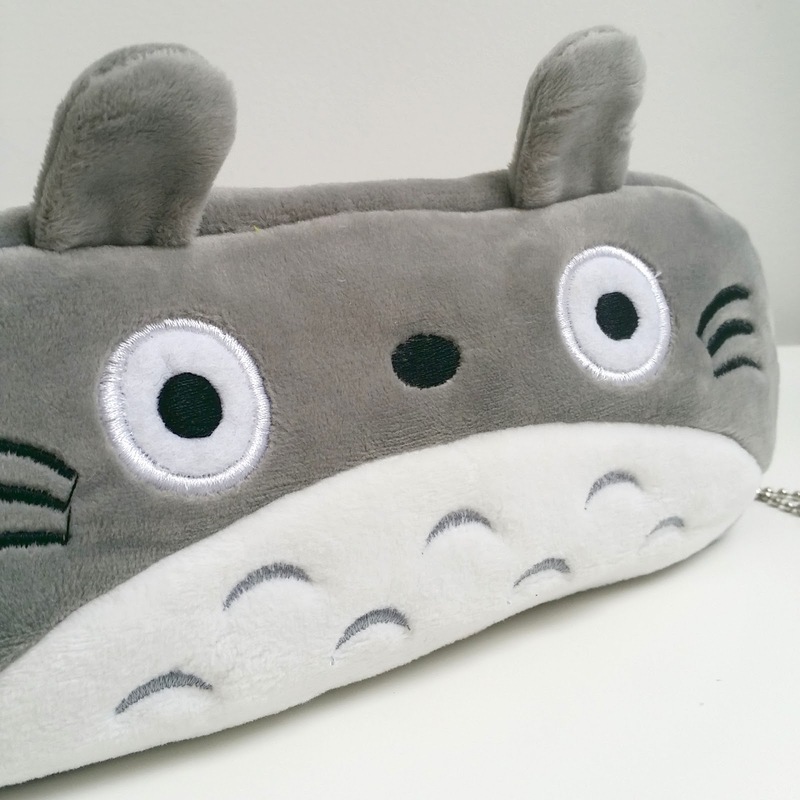 I also added these super cute plush Totoro pencil cases. What drew me to these (aside from Totoro of course!) is their size. 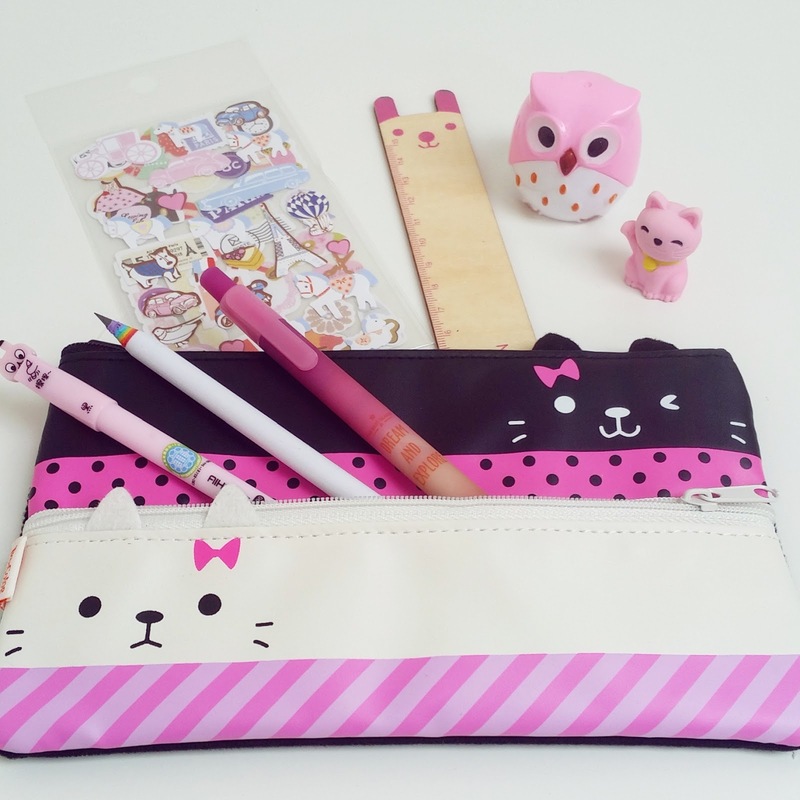 there is plenty of room inside for all of your stationery essentials. They're lovely and soft as well as being nice and sturdy. The quality is also really good so there's no need to worry about Totoro looking sorry for himself after a few outings. The third new product is another pencil case. This one is a smaller option, great for carrying in a handbag if you're always on the go. 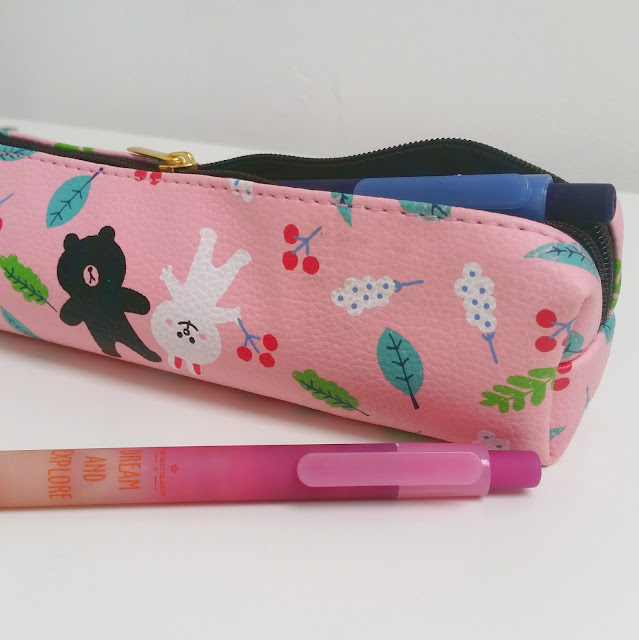 The cute bears pencil case has room for around 15-20 pens and pencils on average and the light material means that it's easily able to be kept in small spaces as you travel. The one problem I've found is that, because I'm always surrounded by beautiful stationery, I just want to keep one of everything! I have more new products coming up over the next few weeks so keep your eyes peeled. 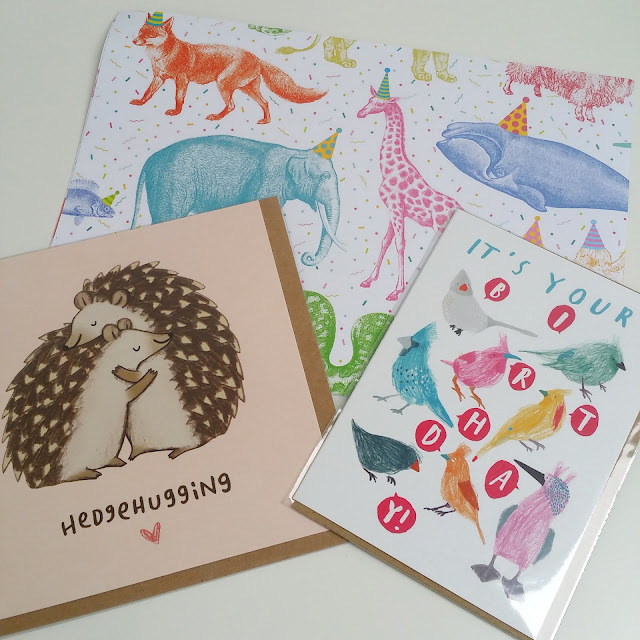 You can favourite Three Little Búhos Stationery on Etsy *here* so that you are always the first to hear when I add new goodies to the range. 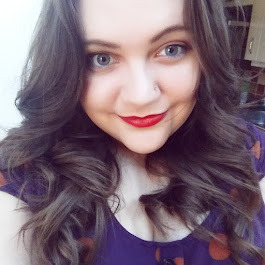 I've been a little AWOL the last few days because I'm staying away from home this week and decided to give myself a few days of laziness before getting back to my normal routine. Because I'm staying away from home, I don't have all of my usual planning supplies with me. Don't get me wrong, I definitely brought plenty with me, but not everything! 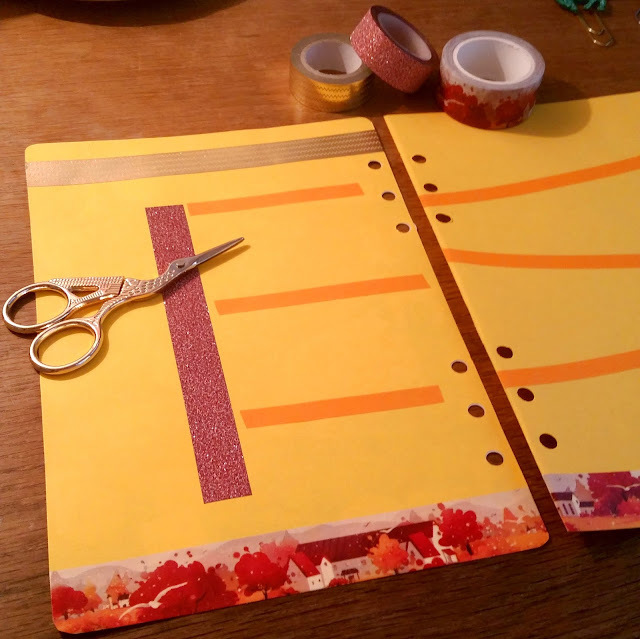 I always start off by adding washi tape to the blank page to add some instant pattern. This Grumpy Kitty Washi is available from Three Little Búhos Stationery *here*. Usually I separate the days and my dashboard using skinny washi tape but since I didn't bring any I thought I'd attempt some bullet journal style headers instead. 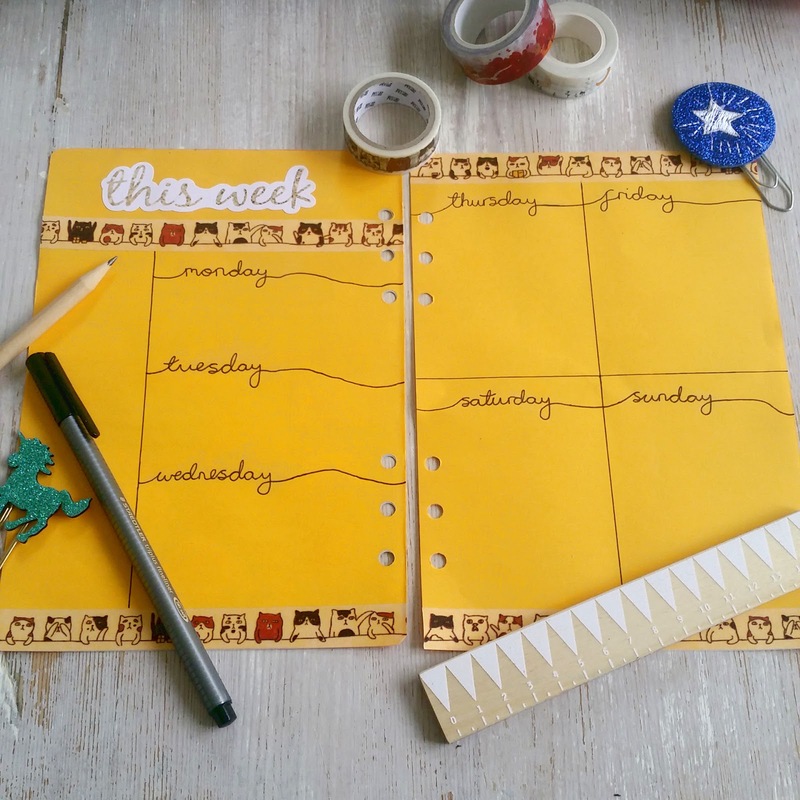 The "this week" sticker is a custom order from Isabelle the Owl *here*. The next step is to fill my dashboard with any little things. I also usually add the weekly menu, but this week I'm not in charge of what we eat so I'm going to add it in afterwards as a memoir. I also add a any appointments or events that are set in stone so that I won't forget them later on. The stickers in my dash board are from Ugly Bug Does *here* where you can use THREELITTLEBUHOS10 for 10% off your order and the mini to do list stickers are from Lilac & Dot *here* where you can use ANNIE10 for 10% off your order. Now it's time for the writing. Rather than lists of chores, this week my lists are full of nice things that I'm going. I may only be staying with my partners parents but it's lovely and relaxing. I also add practical stickers at this point to go with the to do lists. Finally, decorate! I fill in all of the little gaps so that my page is nice and full of colour and interest. Because I only brought some stickers, the majority I have used are b Ugly Bug Does and Lilac & Dot, but I have also used a super cute unicorn sticker from Beautiful Planning *here*, several stickers (including Pusheen) from Harriet Wright Designs *here* and a few randoms that I had in my handbag (as you do!). And, done! I actually really like this weeks page. 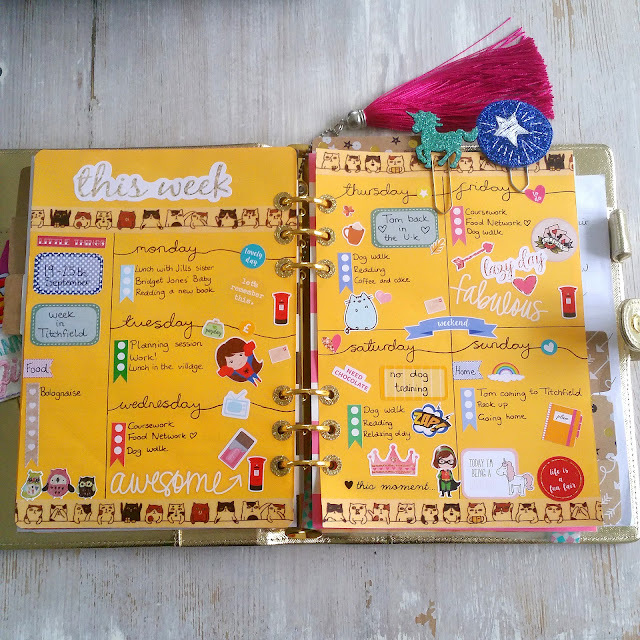 I can't decide whether I prefer the drawn dividers to the skinny washi I normally use. I think from now on I'll use a combination of both. It's been two weeks already, where has the time gone?! This week I have been working on creating gift sets ready for the lead up to Christmas, booking stalls at Christmas markets and getting new stock ready to pad out the shelves a little bit. Some lovely new pieces have been added to the shop today (take a look *here*) and I have lots more scheduled to go live over the next few weeks including Totoro goodies, rose gold pens and some very pretty pencil cases. 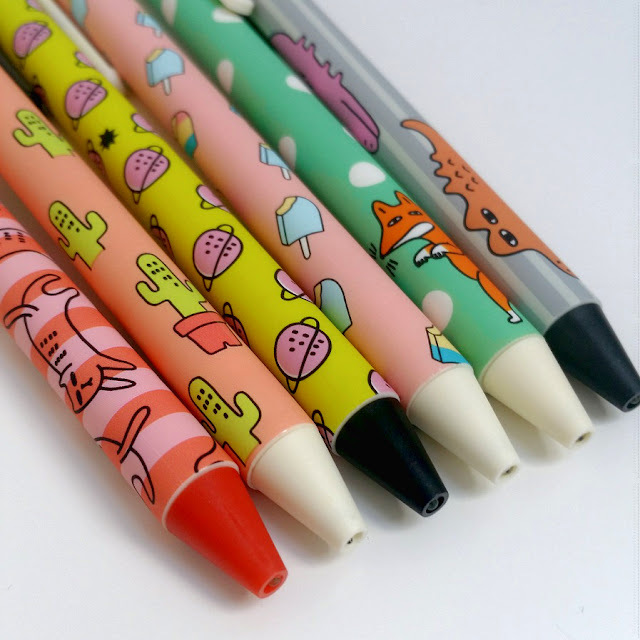 Make sure to favourite Three Little Búhos Stationery on Etsy so that you can be the first to hear about it when they go live. Above is a prototype of the Pretty in Pink Gift Set that I will be launching within the next couple of weeks once I have decided that I am 100% happy with what is included. I'm trying to create kits that include a nice range of products whilst still having continuity to them. If you have any suggestions or requests then please feel free to contact me. The next week is going to be spent perfecting the gift sets and designing my stall for the Christmas markets that I have signed up for. Hopefully I will have lots of exciting new goodies for you very soon! 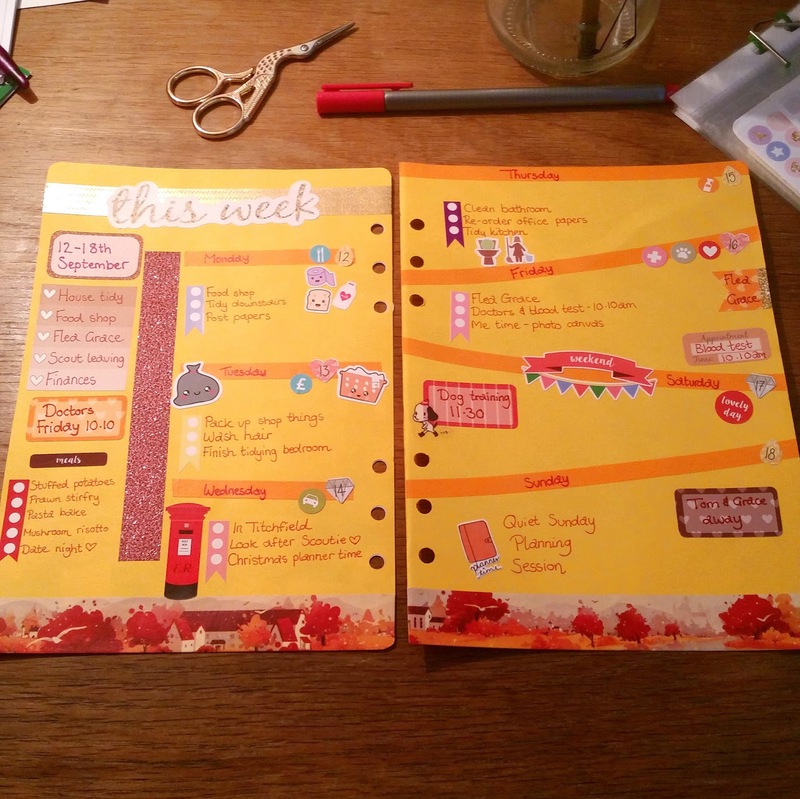 I've had a fair few people commenting on my planner spreads and asking me where I get certain things and how I put them together so I thought I would start a series of posts and show you how I put my spreads together each week and show the bits and bobs I use some love. I started making my pages from scratch because I couldn't find any inserts that I liked enough to justify buying them, so I decided to give it a go making some and found that I really loved the freedom it gave me. Every week is different and if I fancy a different colour or layout all I have to do is cut a piece of A4 paper in half and get creating. I apologise now for the photos, I do most of my planning in the evening and my little office is under a bunk bed in our spare bedroom so natural light is in short supply! I always start off by laying out the page using washi tapes to separate the days and give a little decoration. 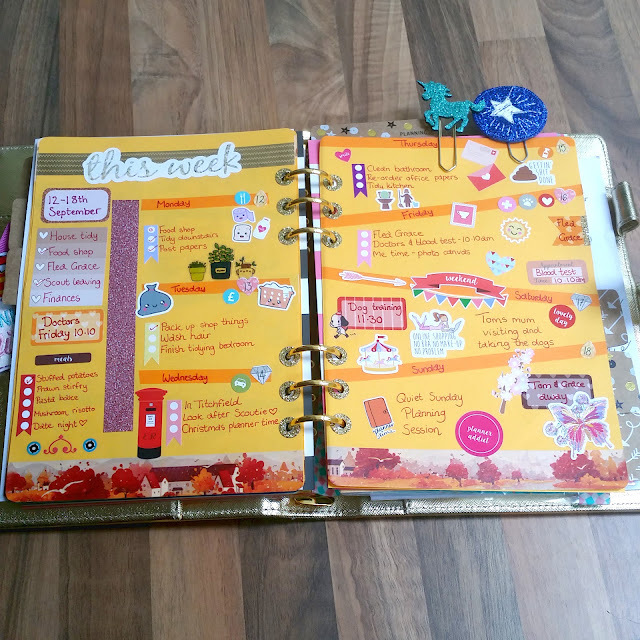 The glitter washi and the gold washi at the top of the page both came from The Range. I can't find either on the website but I bought them recently so they should still be there! The Autumn Scene washi tape is stocked in my shop Three Little Búhos Stationery *here*. The next step is to add the important bits and pieces that I know will be happening in the week such as appointments, events etc and my "task bar" which I usually put down the left hand side. That's where I list any important tasks, write the weekly menu and pop any other bits. My "This Week" stickers are a custom order from Isabelle the Owl *here*, the gradient checklist in the side bar is from Kelizabeth Plans *here* and the kawaii washing basket and rubbish bag are from Harriet Wright Designs *here*. Now it's time to do all the writing and add in my mini to do lists for each day of the week. I know planners are meant to be practical things but the writing is my least favourite part so I keep it fairly simple! My mini to do lists, the additional boxes I've added and the little kawaii shopping essentials stickers that I've added...and actually the weekend banner and letterbox...are all from one of my very favourite Etsy shops; Lilac & Dot *here* and when the store re-opens, you can use the code ANNIE10 for 10% off your order. And finally? Go sticker crazy! I've never liked big empty spaces so I do a lot of decorating in my planner. Any area that looks a bit bare gets a sticker shoved in it! 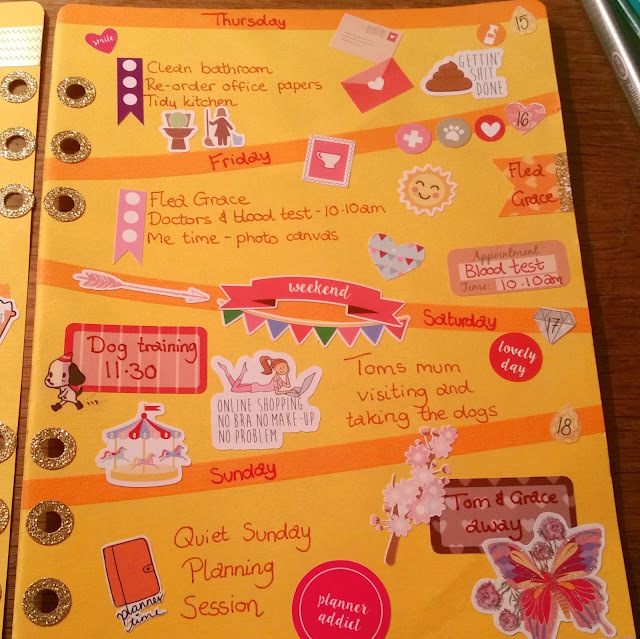 Again, the majority of the stickers that I've used are from Lilac & Dot but the online shopping sticker and getting sh*t done sticker are from The Plump Planner *here* her store only opens at weekends but it is well worth checking out for some fun stickers. I also always finish my pages with the gold hole re-enforcers and by rounding the corners. So that's how I create my week and the things I use to do it. I find it such a therapeutic thing to do and it feels good to cross things off the list as I do them.